Kramer Portraits is devoted to creating portraits that are alive with personality, capturing the distinctive character of those special to your heart. Timeless, striking and as unique as the subjects, Kramer Portraits are truly unforgettable, living memories. Each portrait is hand finished, creating an original piece of art for you to treasure for generations to come. Having created thousands of portraits in this style, Kramer has been recognized as the leading expert in the art of timeless expression and posing, creating an unmistakable look that is recognized throughout the country as a Kramer. 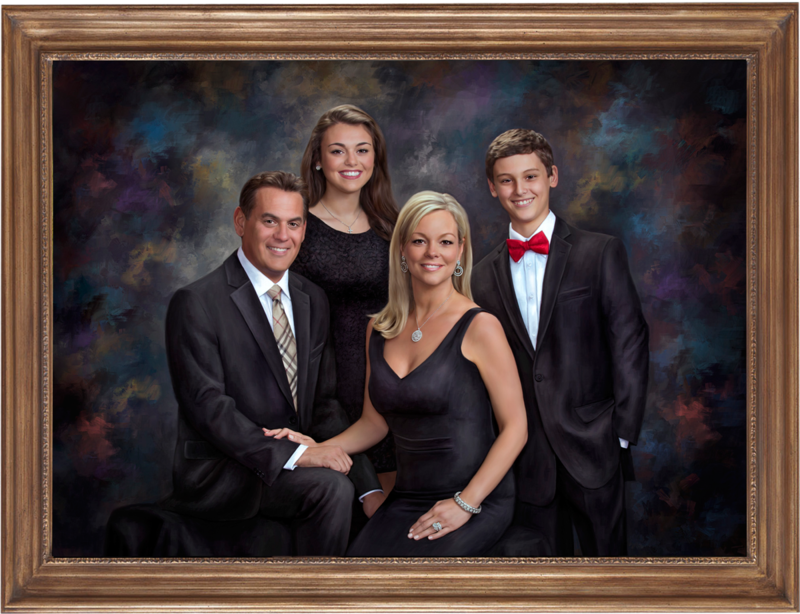 Our staff has created portraits for many prominent individuals and families throughout the country. creating an unforgettable experience and a memorable heirloom Portrait for you and your family.